With the start of the song heavy on synthetic beats, listeners become drawn into another world crafted by Eagle|Stallion in their new EP called Reckless Gods, in particular with the track Poseidon’s Dead. The whole tempo of the song is overall upbeat, with synthetic drop down tones adding musical variety to the song as well. Typical of a traditionally good EDM beat, listeners want to listen to beat variation, and the synth sound that is so unique to EDM tracks. The unique part about Eagle|Stallion’s EP is that it’s centered about the theme of mythology; citing the out there stories with their equally out there sound. Overall, with the tones of the mythological world and the sounds of Eagle| Stallion, the two worlds collide to form a perfect world. I take it that Giles’ evil grin scared the man on the cover of King Crimson’s debut album. 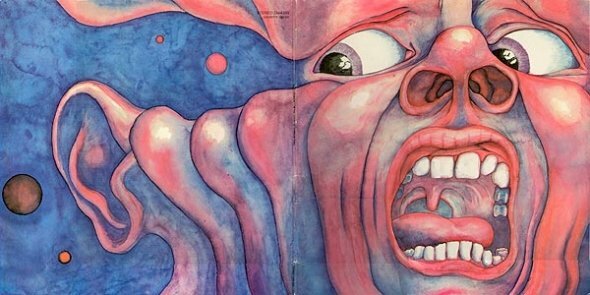 The Cheerful Insanity of Giles, Giles and Fripp was the project that preceded one of my favorite albumsIn The Court of the Crimson King(which is also regarded as a true LP masterpiece). Well, if their later project was such a success, why was the preview so unsuccessful? Okay, no need to be brash, I have a perfectly good explanation. Before we go into the story of Giles, Giles and Fripp, I want to figuratively beat a dead horse. That is such an awful expression. On the subject of violent axioms, a few years ago my girlfriend suggested that instead of stating “kill two birds with one stone” in an appropriate scenario, people should say “bake two cakes in one oven” because it is delicious and no birds need to die. I’m getting off topic. In posts under the Obscure Classic Rock category I have often stated that many bands suffered limited popularity because they created music in the wrong year. The 60s and early 70s were beyond diverse. While it generally takes several years for a particular genre to go out of style, musical inclinations flipped constantly. So while the Electric Folk of the Byrds was considered revolutionary in the mid 60s, a few years and a Jimi Hendrix release later sparked an emphasis on blues-saturated psychedelic rock. Things changed, and when Giles, Giles and Fripp were experimenting with their cheerful insanity, their particular style was not in yet. But it would be, and, with King Crimson, they would reach the pinnacle of success. Before King Crimson, “I Talk to the Wind” appeared as a Giles, Giles and Fripp demo. Yes, the flute is played by Ian McDonald. Hear the King Crimson in this? Obviously; the song is practically the same. This version is a little poppier and it is also shorter. When King Crimson released their famous debut in 1969, “I Talk to the Wind” did feature a different lead vocalist. Some dude named Greg Lake whose soothing voice is extraordinary. That helped significantly. Also, do keep in mind this song was a McDonald and Peter Sinfield composition (Sinfield was the skilled lyricist who wrote much of the poetry for King Crimson). Giles, Giles and Fripp was founded when guitarist Robert Fripp answered an advertisement that brothers Michael (drums, vocals) and Peter Giles (bass, vocals) put out for a singer/keyboardist. Fripp was neither. Thankfully Fripp rebelled against the advertisement. He was hired by the brothers and the world was introduced to his eclectic guitar stylings. 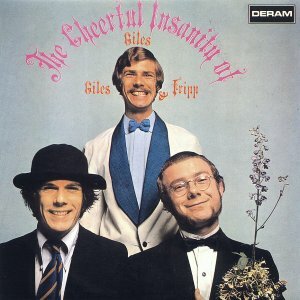 The London group released one album The Cheerful Insanity of Giles, Giles and Fripp. It was released in Spring of 1968. In Fall, the band brought on multi-instrumentalist Ian McDonald and vocalist Judy Dyble (who only performed on a few songs). The band recorded a few demos and then Peter left later that year (he would make a guest appearance on Crimson’s second album). Giles, Fripp and McDonald formed King Crimson (a name suggested by Sinfield), and added Fripp’s friend Greg Lake (a guitarist/vocalist who switched to bass/vocals at Fripp’s request). King Crimson was formed in November of 1968, made their live debut in April of 1969 in front of 650,000 people in Hyde Park (free concert staged by the Rolling Stones), and then released their classic in October of 1969. That’s a busy year. Let’s back up, though, before we knew of King Crimson, Ian McDonald, Greg Lake, and Peter Sinfield. When the band was only three.The Cheerful Insanity of Giles, Giles and Frippis an excellent example of an extremely underrated album that was simply released a year too early. The music is adventurous and fresh. A lover of progressive rock can hear several early 70s bands in the eccentric compositions. My favorite track on the album is “Thursday Morning” which I think represents a genre unconquered by many. Progressive Art Folk. Let me break this genre down. As you know, I am not only an audiophile, but also a pedantic classifier. I know it goes against all things free, but I like typifying music like a biological taxonomist. It’s just my thing. Progressive Rock became extremely popular in the early 1970s but its roots are deep in the 60s with bands like The Moody Blues and The Left Banke. A sub-category (or interchangeable category for some) is Art Rock. Art Rock also fuses elements like jazz, classical instrumentation, and creative hooks, in an attempt to heighten music. It was a clear response to the lack of musical constraints displayed by the preceding psychedelic genre. But Giles, Giles and Fripp were playing a different tune. The music explored Progressive Folk, a sub-movement inspired by the British Folk Revival (think Incredible String Band, Pentangle, and Fairport Convention (Judy Dyble’s band)). Listen to the melodious strings in the background, easy acoustic picking, and Michael Giles’ folky voice. The canorous harmony is multifaceted and cheerful. It carries the song until around a minute where the listener experiences this miniature solo featuring strings, guitar, and drums. It is a clear ode to classical compositions. Giles’ voice enters our ditty again and so do the precise harmonizers. And just like that, the song ends, but not before leaving a full memory!